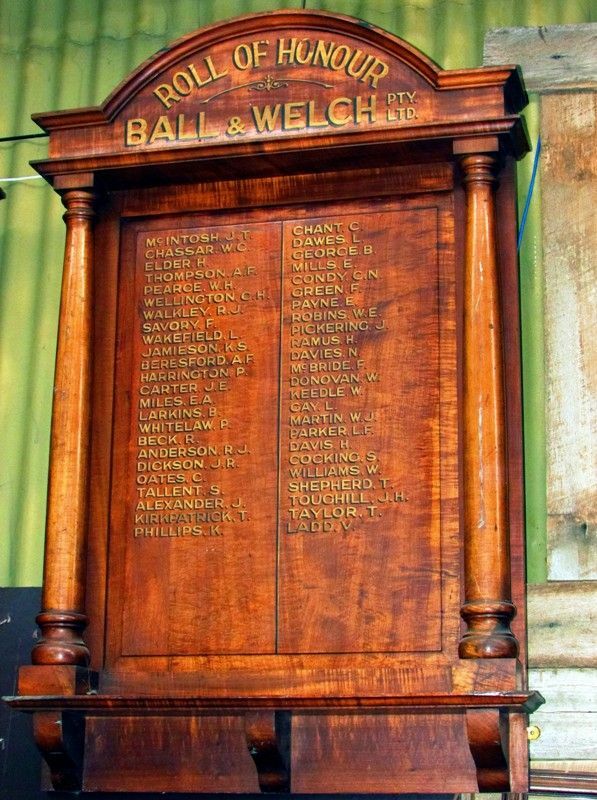 An honour roll commemorates employees of Ball & Welch who served in World War One. This honour roll was relocated from Melbourne. Note: Ball & Welch Pty Ltd. was a prominent department store in Melbourne, Australia from the 19th century through to the 1970s.